Today, only four speakers of the Euchee language remain. The Euchee language is an isolate and is not related to any other language in the world. The Euchee community, based in Sapulpa, Oklahoma, is in a race against time to preserve and revive their language. In an attempt to revitalize the Yuchi language, tribal leaders established the Euchee (Yuchi) Language Project, Inc. (ELP). The ELP is a community, grassroots organization that has operated for 15 years with the mission of keeping alive the rich heritage of the Euchee people. The goal of the ELP is to create new fluent speakers through immersion teaching between fluent elders, adults and children. 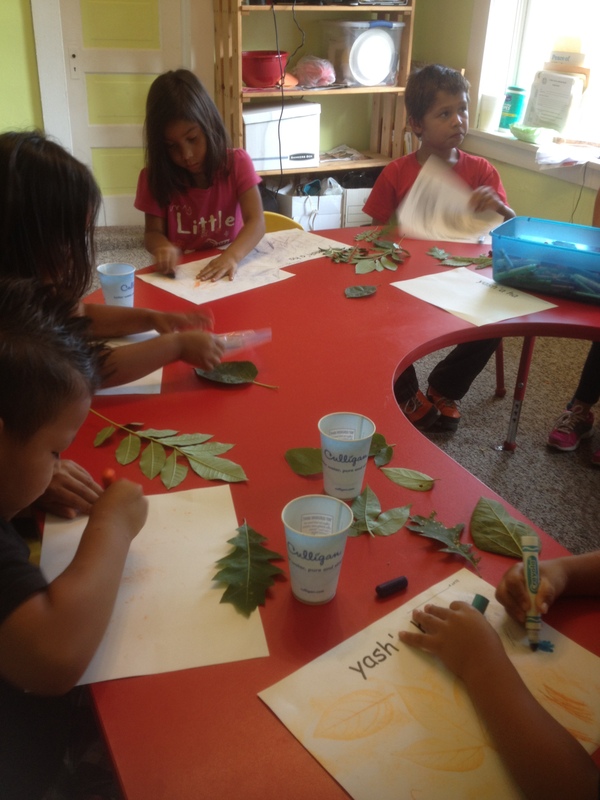 In 2012, First Nations awarded $20,000 to the ELP to support the Euchee language-immersion after-school program. The purpose of this program is to teach Euchee youth – especially those who are considered “high-risk”– the importance and value of their unique language with the goal of building their confidence and self-esteem. Currently, 40 Euchee youth participate in an after-school program two hours a day, four days a week. Tribal elders lead traditional learning sessions that focus on language, storytelling and leadership. They teach students functional verbs and phrases so that they can carry on short conversations in the Yuchi language. 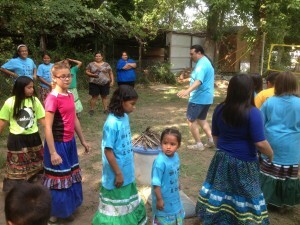 Tribal elders also teach students traditional and contemporary Yuchi songs. Over the summer, students performed these songs and spoken language at the Tulsa State Fair and Yuchi Heritage Festival. Additionally, this afterschool program also seeks to teach students about agriculture and entrepreneurship. 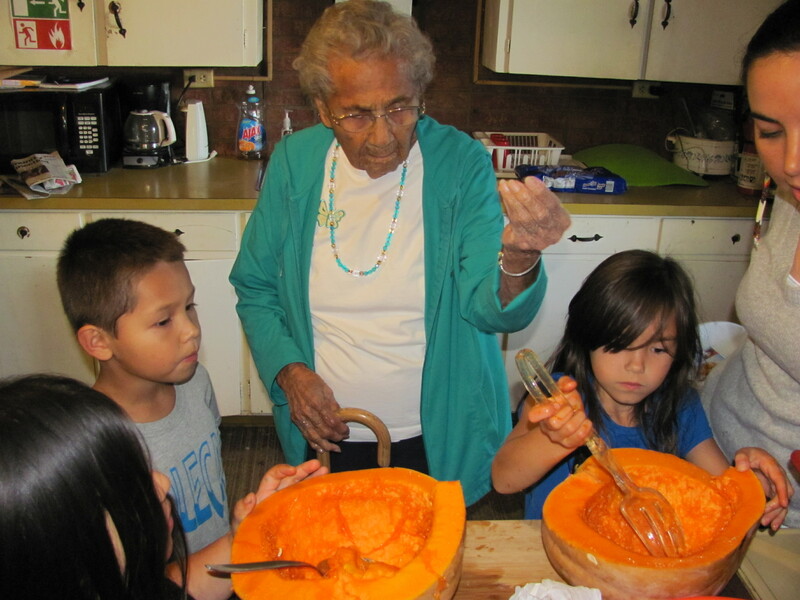 Tribal elders train students in traditional food systems, Yuchi agricultural knowledge and growing heritage crops. The ground-preparation and planting process is guided by the knowledge and wisdom of tribal elders. For example, students learn how to enrich the soil using traditional techniques such as using ashes and charcoal. Boys till the soil and prepare the ground for planting, while girls physically plant the seeds. 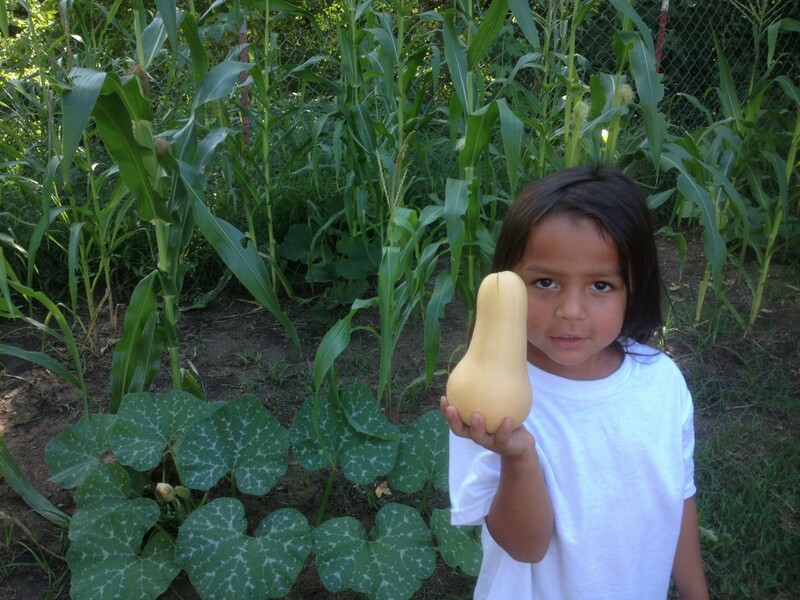 This year, students planted various corns, beans, squashes and pumpkins. At the end of harvesting season, students organized the first annual Fall Indian Market, a farmers’ market they hosted at the Yuchi House. Students marketed the event with flyers and posters. Their marketing slogan read: “Yuchi Foods Make My Body Healthy.” This activity helped students learn about advertising, customer service and fund management. Students raised more than $100 to help support the Euchee language-immersion after-school program. Many Native American languages are rapidly becoming extinct. This innovative project demonstrates that youth language-immersion programs have the potential to reverse this trend by revitalizing these languages and increasing cultural pride. This entry was posted in Uncategorized and tagged ELP, Euchee, First Nations Development Institute, language immersion, language preservation, Oklahoma, Sapulpa, Sarah Hernandez, Yuchi by rblauvelt. Bookmark the permalink. I wish these Yuchi teachers much success! Hopefully they are in consultation with teachers from other NA peoples who have done good work in keeping their languages alive. Thank you for this article, as with the other original people of this land, we have survived the great diaspora and to hear of the valiant efforts of these people – especially the children – encourages me to fight even harder to bring the Oneida Culture to my grandchildren. This program is absolutely fabulous and so very important!! I think this is a great idea for all of the Native Americans to learn their own language. I would like to learn more about what the Yuchi Community is doing to promote and preserve the culture, history, language, values and recognition of the tribe..
What an impressive and constructive program. I hope it catches fire elsewhere. important. The proactive approach more than meaningful in the management of money. I look forward to hearing more important good things. This was a very interesting article. I hope that the programming was successful and that it will be continued. It would be sad to see another native language destroyed due to colonization. I have heard of another tribe in Alaska that had only a handful of language speakers and they worked with Rosetta Stone to create a language tool for people to learn their language. I wish them all the luck for the future!